Let’s examine what the process of moving people into your investment property should look like. As a Troy landlord, you should have in place a state compliant lease for your rental house. Ensure that you have read and completely understand your lease, and have a firm grasp of all of your and your renter’s responsibilities with regard to the lease. Your new residents will expect you to explain the lease, and key terms and dates will need to be clear and concise. Your lease signing time also provides you the opportunity to specify rules for items not specifically mentioned in the lease, such as city noise ordinance times, changing filters and bulbs, maintenance responsibilities, or any special neighborhood or association rules. After the lease is signed, you and the resident should do a move in evaluation noting any damaged items (and whether or not those damaged items will be fixed), and the condition of the home. If you haven’t done so already, write down the make, model and serial numbers for appliances. You should also note the size and number of filters and batteries needed for future reference. Make sure that your new residents know where the breaker box is, water shut off, as well as how to operate lawn sprinklers, garage door openers, etc. If done properly, the lease signing and move in process should take about two hours of your time. The final step is to actually provide a set of keys and all other openers to the house to your new residents. A key point to remember as a Troy landlord is not to release keys until the lease has been signed, monies due are collected, and the walk through evaluation has been completed because the exchange of keys signifies change in residency. Once this exchange has taken place, you no longer have the right to come and go as you please from your rental home, and instead must provide your new residents the State mandated notice before entering your rental home. Ensure that the new residents have the ability to reach you in case of emergency, and also know where/when to pay the monthly rent to you. 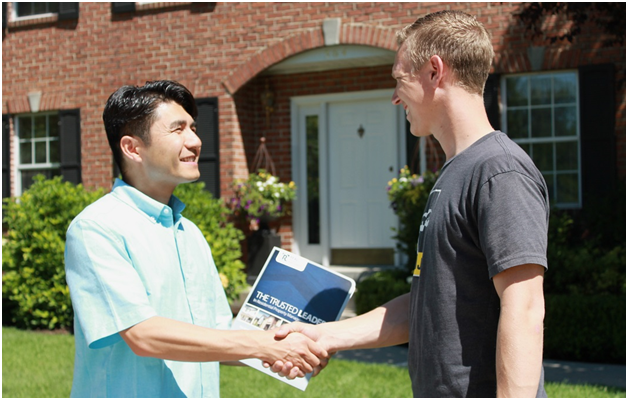 Shake hands, smile, and welcome them to the neighborhood. Would you like to know more about Troy property management? Please contact us for more information.